Available in 45, 85, and cavernous 125-liter sizes, the Stagecoach from Big Agnes is a burly rolling duffle purpose-built for travel & adventure. The outer material is a durable, waterproof nylon with welded seams that keeps water out. 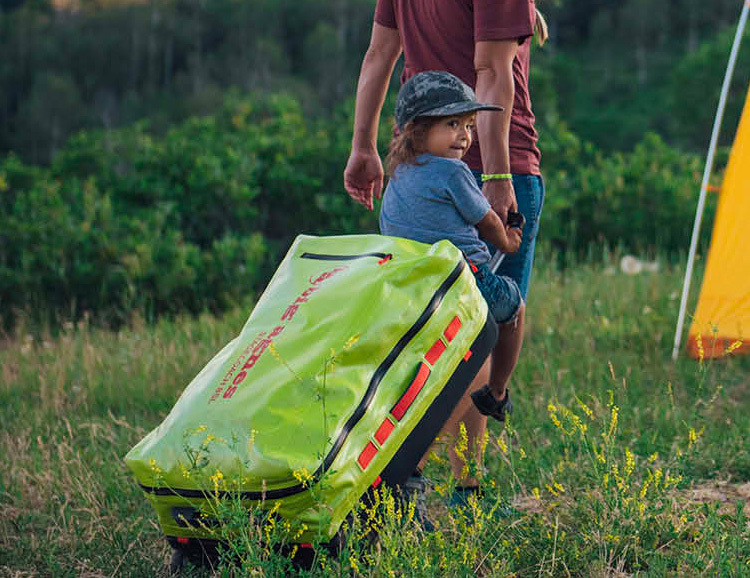 The frame is aluminum with an extending lockable handle for easy rolling and it’s also got Independent backpack straps to convert your duffel to a pack when the terrain gets too rugged for rolling. 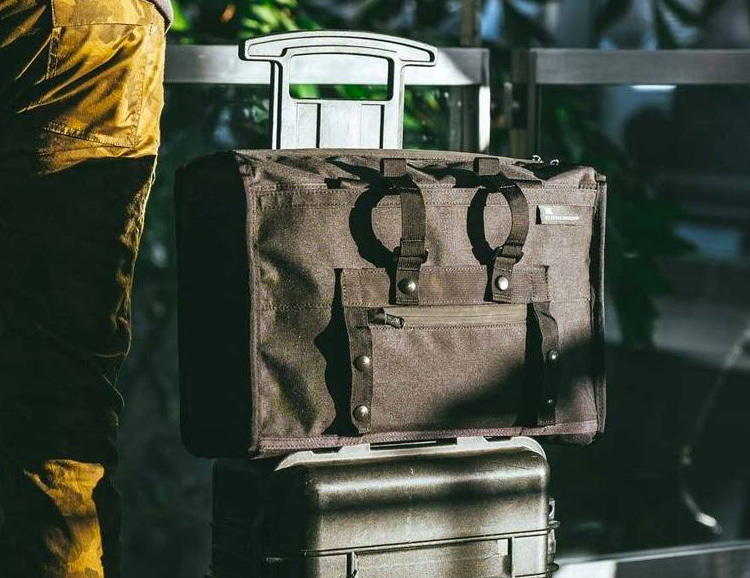 Italian luxury luggage maker Tumi has just introduced the Alpha Bravo Recycled Collection, bags and packs that feature fabrication using recycled plastic bottles. The entire collection is black and constructed with their Recycled Ballistic nylon for long life and durability. The brand estimates that each bag keeps as many as 17 plastic water bottles out of landfills and oceans. Designed exclusively for Monocle, the Porter suit bag is a classic travel essential that sooner or later you’re going to need. 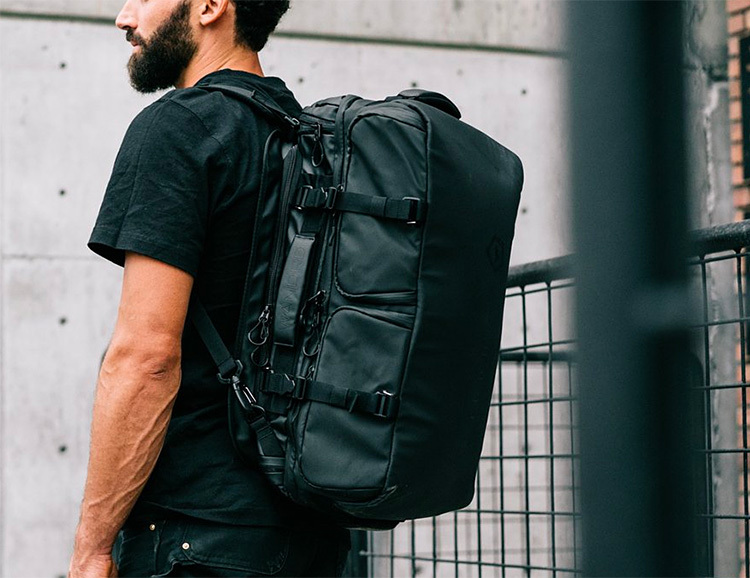 Made in Japan and crafted in long lasting, water resistant nylon cordura, it features a removable garment hanger, removable shoulder strap and a smart sleeve to mount on luggage. Choose from navy or khaki and proceed directly to your boarding gate. 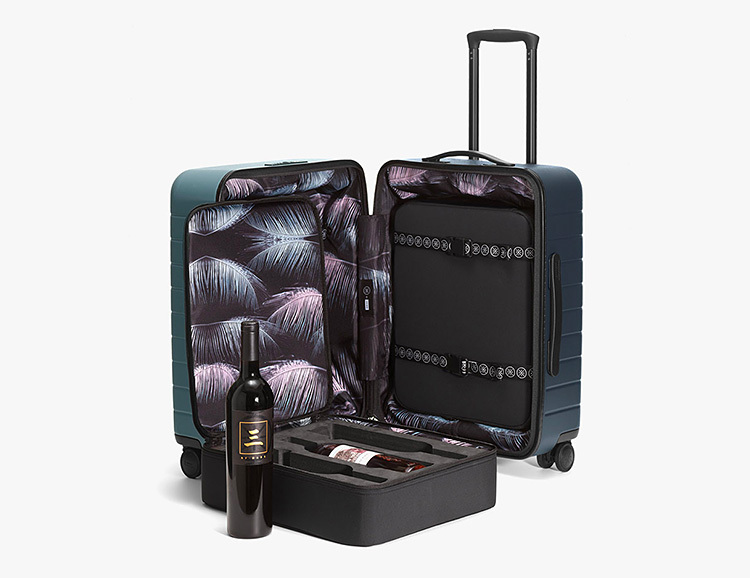 The luggage innovators at Away partnered up with champion b-baller & wine aficionado Dwyane Wade to create a whole line of luggage, including the Away x Dwyane Wade Wine Case, a rolling, hard-sided suitcase that will safely and stylishly transport up to 6 bottles of wine. It features 4 smooth-rolling wheels, a retractable handle, and a TSA-approved lock. 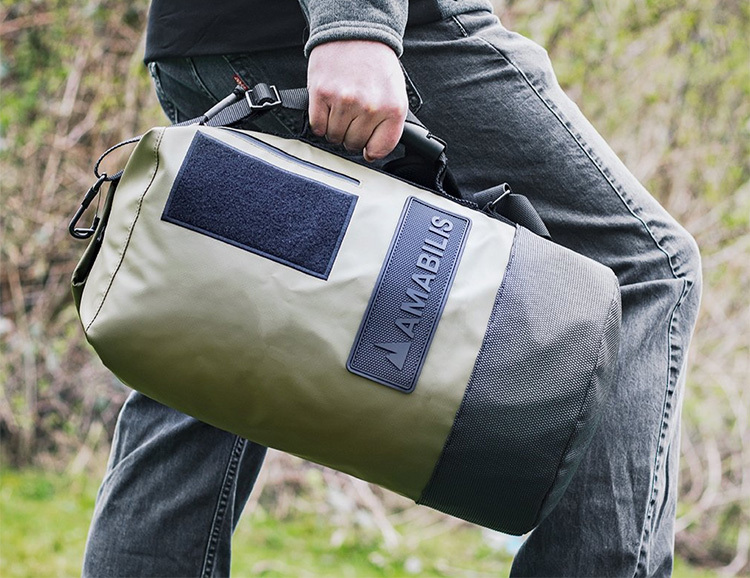 At 25-liters volume, the Dave Jr. Duffel from Amibilis is the perfect size for a day trip or light overnight and features rugged, go-anywhere construction. Made of 18-ounce waterproof tarpaulin, it features a heavy duty handle and padded adjustable shoulder strap as well as burly zippers & internally bound seams for a long life of service. Traveling without a toiletry bag keeps things light but you could end up with toothpaste on your tighty-whities. The Explorer SLIM from Gravel is a better option. It’s loaded with pockets both waterproof & fleece-lined and has dedicated ones for your toothpaste & toothbrush & deodorant & razor. The full-zip clamshell design gives you easy access to everything. 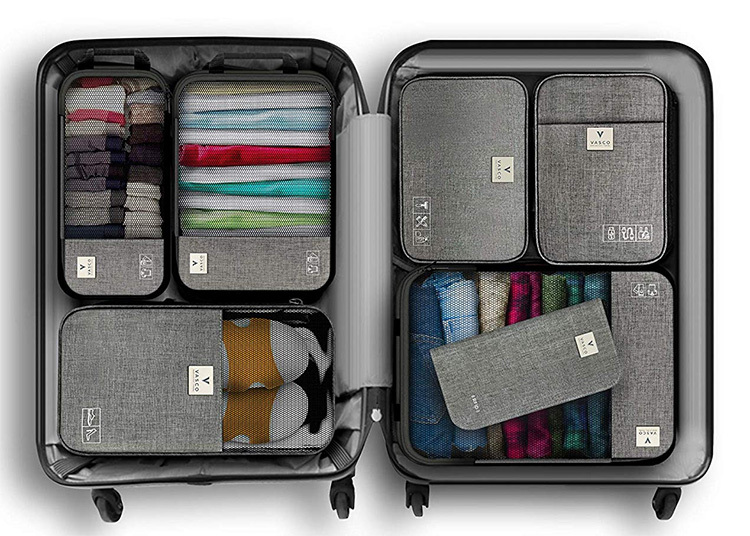 Vasco Travel Packing Cubes come in all shapes and sizes, making it easier to keep your luggage and gear neatly organized. 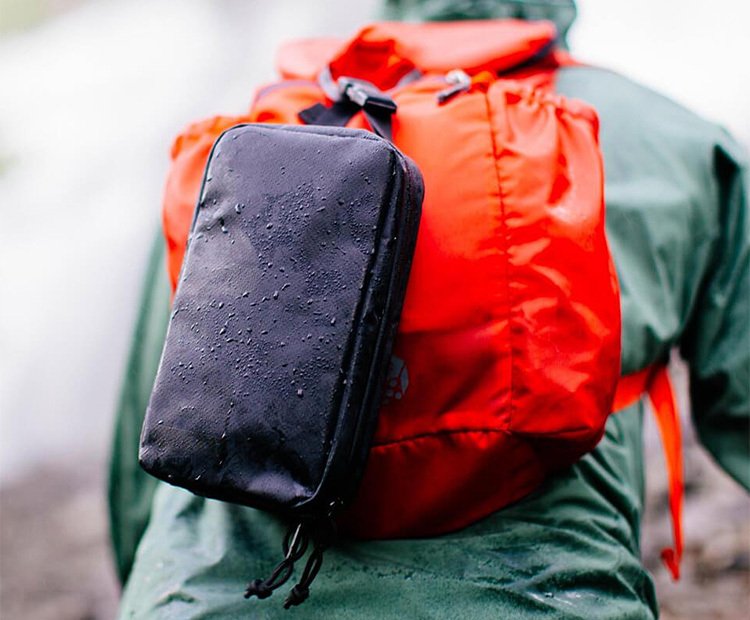 These slim, minimalist, and lightweight cubes are constructed of waterproof nylon with reinforced zippers & they feature mesh windows so you can see what’s inside. The set includes 6 cubes as well as an oversized RFID travel wallet. If you’re a man who travels with watches, this is how to do it right. 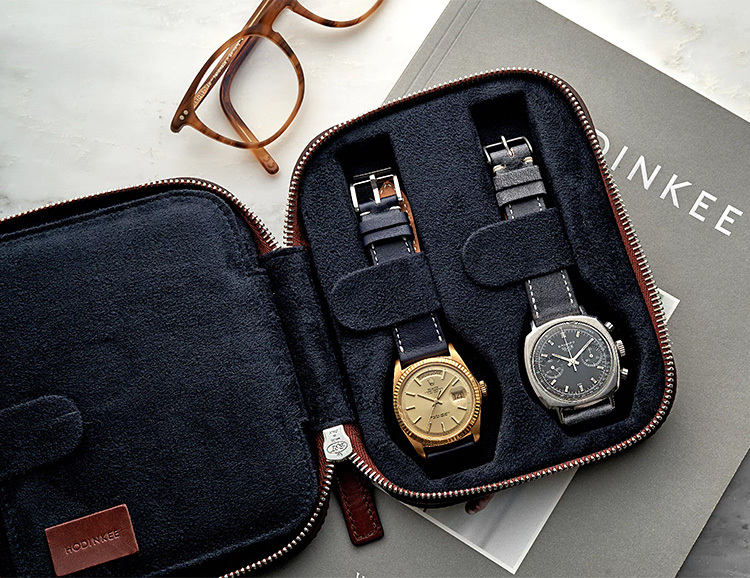 The Moulded Oak-Tanned Leather Case Collection from Hodinkee offers elegant travel storage for your valuable timepieces. Constructed of premium brown leather, the cases are assembled with a high quality zipper and a soft blue suede interior, each side of the case has between one and four deep-set watch-shaped indentations and a cushioned liner. Watches are secured via a snap closure. Theses cases are available in sizes for 2, 4, 6, & 8 watches. 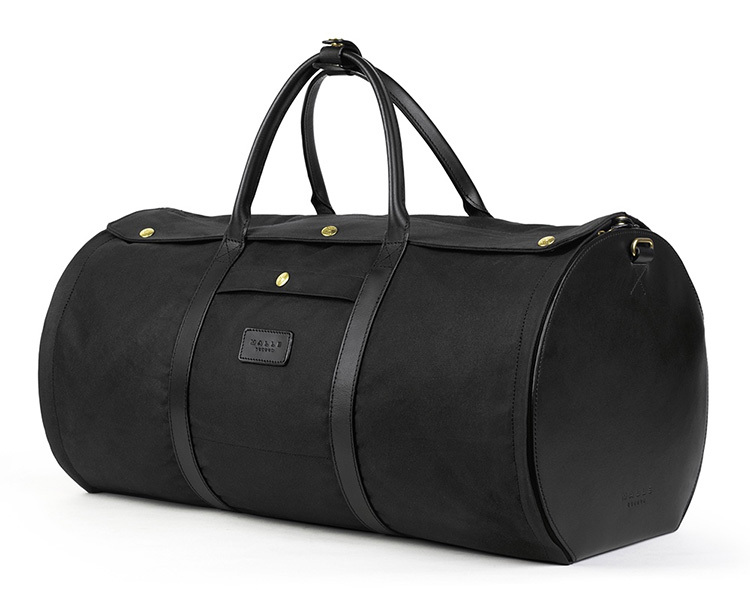 Made of lightweight, durable, & waterproof waxed 10-ounce canvas, the Malle Rally duffel was designed for rally drivers, with enough space for race suits and a helmet. But even if you’re more of a daily driver, it’s a super functional, not to mention stylish barrel-style bag. It features bridle leather handles and shoulder strap, an organic cotton interior and keeps all your gear protected with a 100% waterproof membrane. 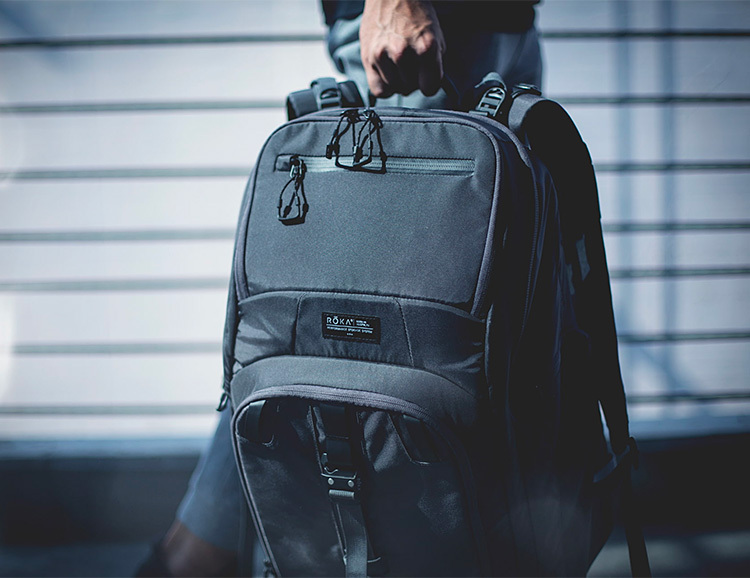 The all-new Travel collection from tech bag maker Aer offers maximum function and versatility with minimalist designs. 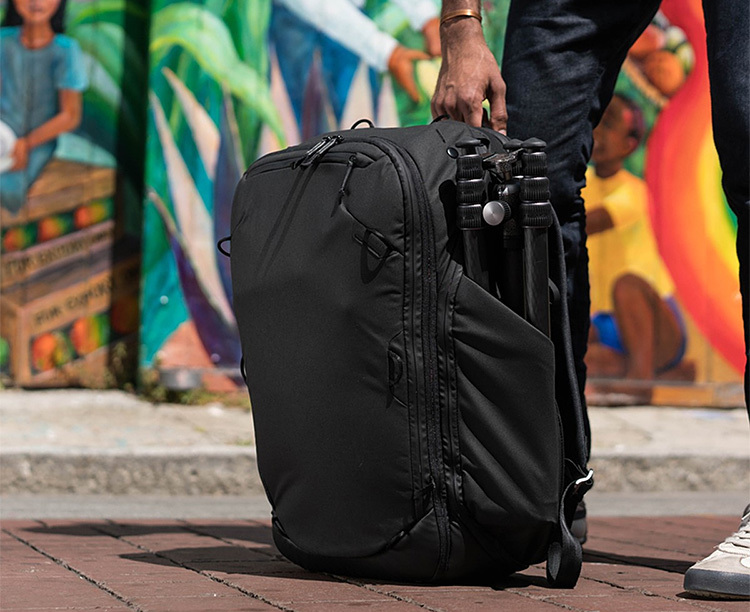 The collection is comprised of 2 work-travel packs, one a 33-liter carry-on, the other a 21-liter convertible, a 12-liter sling pack with a padded laptop pocket, a smaller hip-style sling, a travel kit, and a dopp kit. 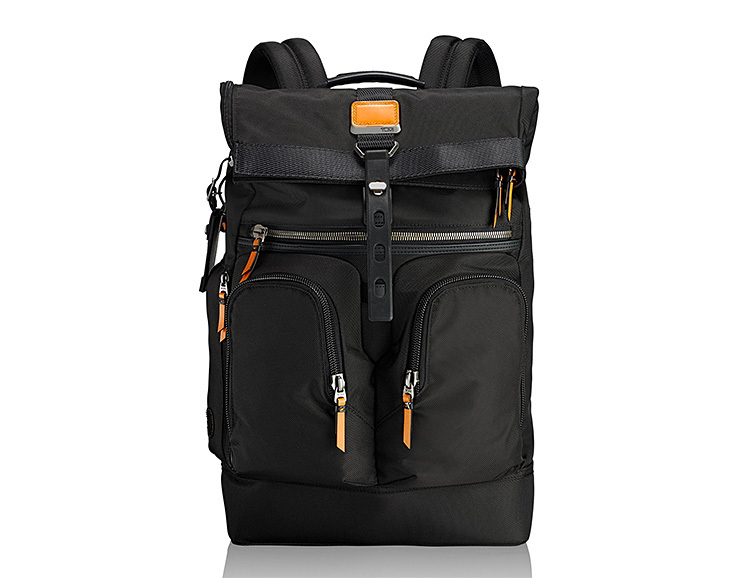 All the bags are constructed of high-end Cordura, feature YKK zippers, and are loaded with smart, travel-tested features. 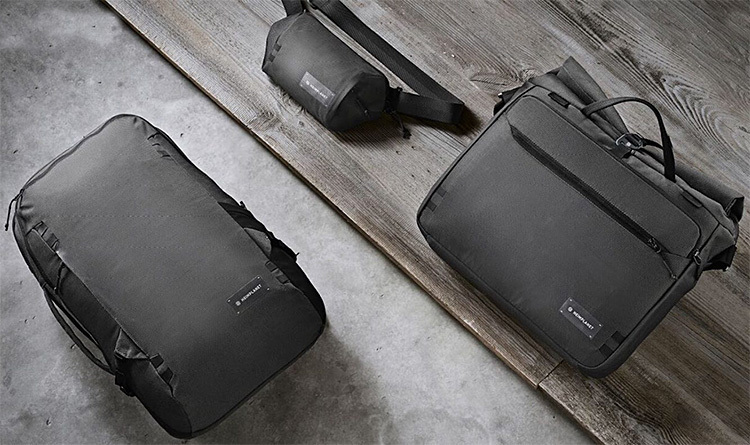 The Transit Arkiv from San Francisco’s now legendary bag makers, Mission Workshop, is a weatherproof laptop briefcase that is both overbuilt & understated. With a total volume of 14-liters it is made with your choice of super-tough 500D Cordura, HT500 Nylon, or 10oz. waxed cotton canvas. Features include a dedicated, fully padded laptop compartment, internal file organizer, mesh zip pocket, endcap water bottle pocket, and an external zippered pocket for phone, wallet or keys. The Transit Line from the outdoor innovators at Heimplanet is a collection of sustainable, everyday travel bags designed to shift effortlessly between work, play & travel. 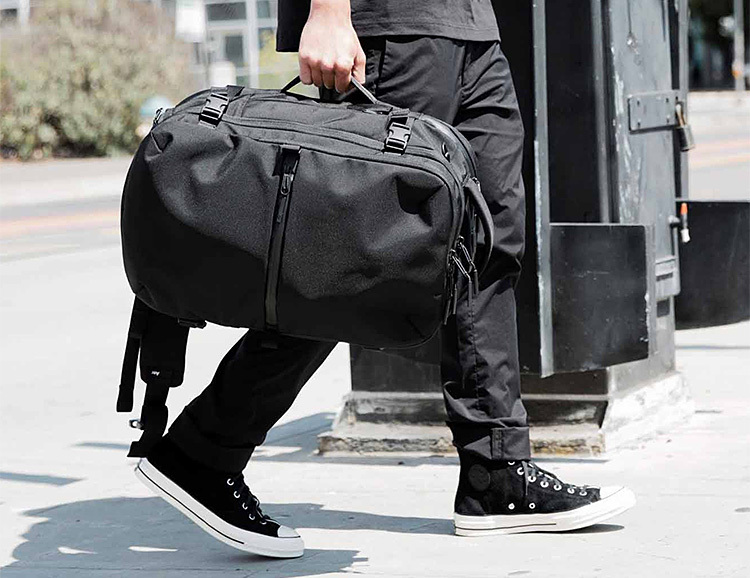 The collection includes the 34-liter Transit Travel Pack, the 14-liter Rolltop Messenger Bag, & the compact Sling Pocket. All are constructed of Dyeco nylon fabric & loaded with Heimplanet’s consistently smart & user-focused features. Available for pre-order on Kickstarter now. Matador is fast becoming the top choice when it comes to packable adventure travel gear. 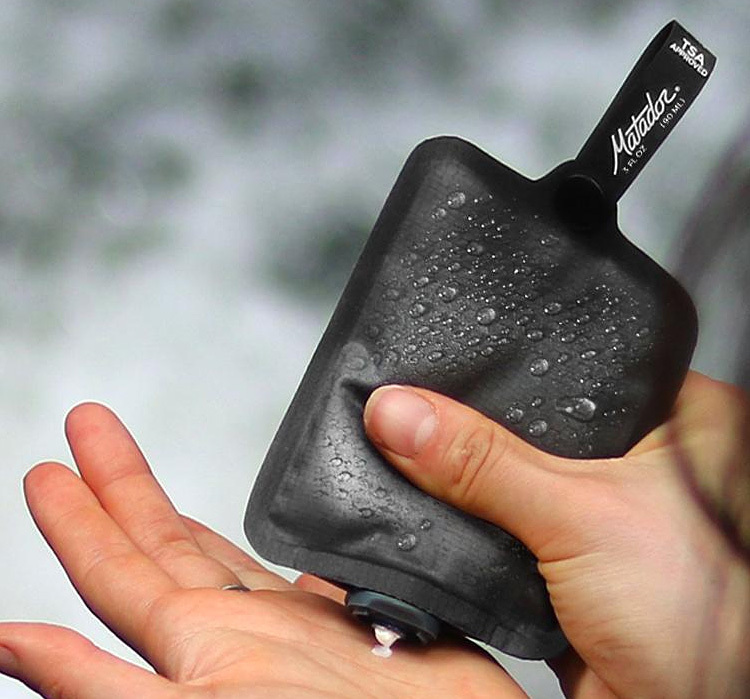 Their FlatPak Toiletry Bottles are the only travel bottles designed for minimalist travel and ultralight adventure. 5X lighter and 3.5X more compact than traditional silicone travel bottles, they’re made of welded Cordura with a proprietary coating. With 3-ounce volume, they are also TSA approved. Fill them with anything from soap to toothpaste. 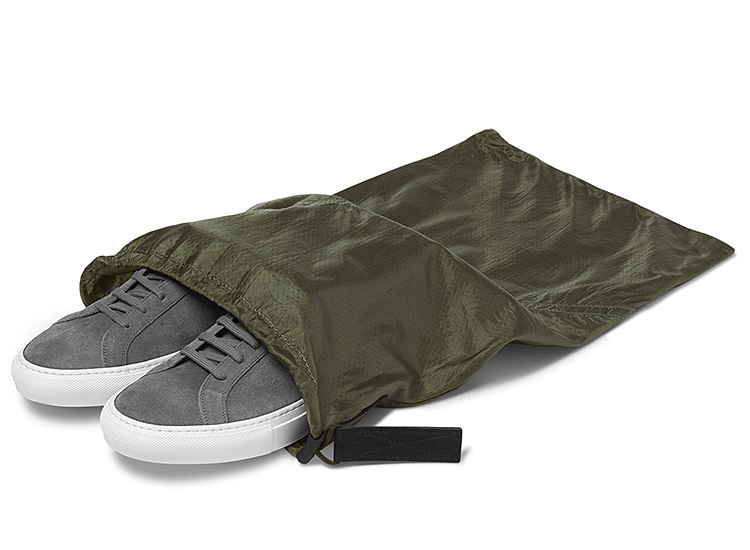 Made in California and constructed of re-purposed military parachute nylon, Killspencer’s Parachute Bag 2.0 is the perfect way to store & travel with your favorite sneakers & shoes; or with the larger size, a legit laundry bag for all your dirties. Both feature a paracord drawstring closure & leather branded pull tabs. 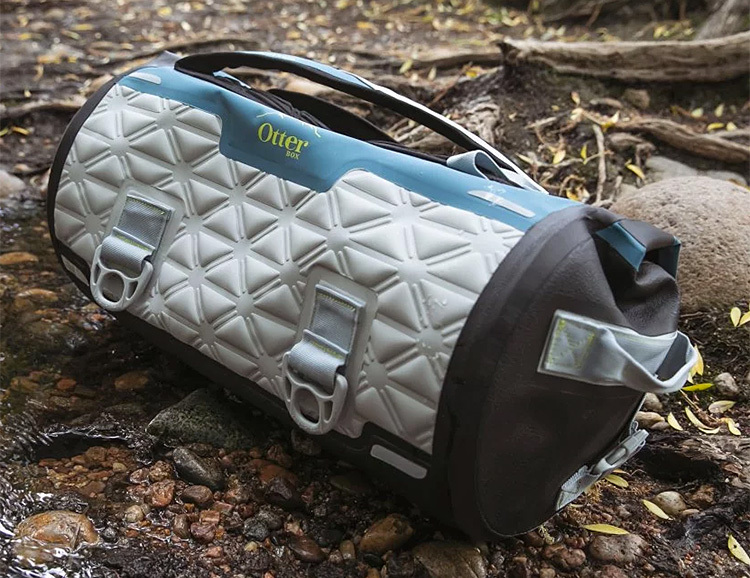 The Yampa Dry range of waterproof duffle bags from case & carry masters OtterBox are available in three sizes: 35-liter, 70-liter and 105-liter, all featuring TPU-coated nylon construction, waterproof zippers, sealed seams, multiple tie-down points and backpack straps as well as handles. Reflective hits for visibility at night and bright orange interiors for visibility on the inside. 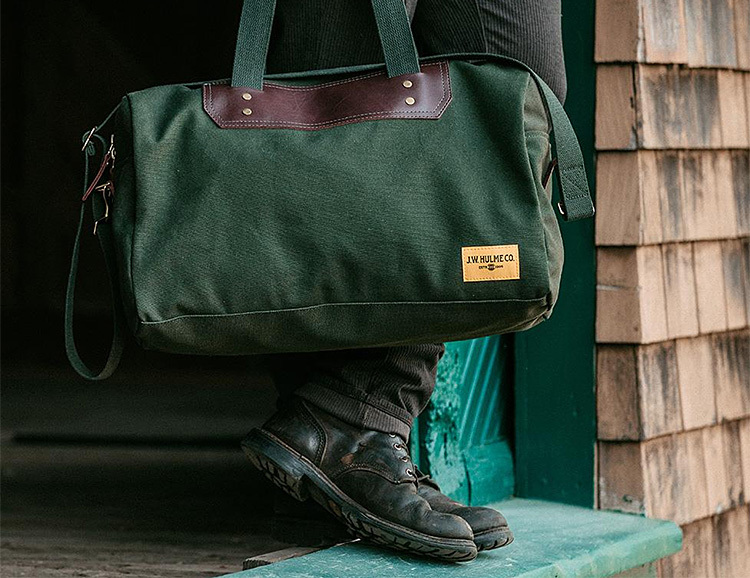 Designed to transition easily from business to pleasure, the Generation Troubadour Weekender is a 42-liter carryall made of vegetable-tanned Italian leather that’s naturally waterproof. The interior is cotton canvas with a zip pocket; there are leather handles as well as a removable shoulder strap & two external pockets. 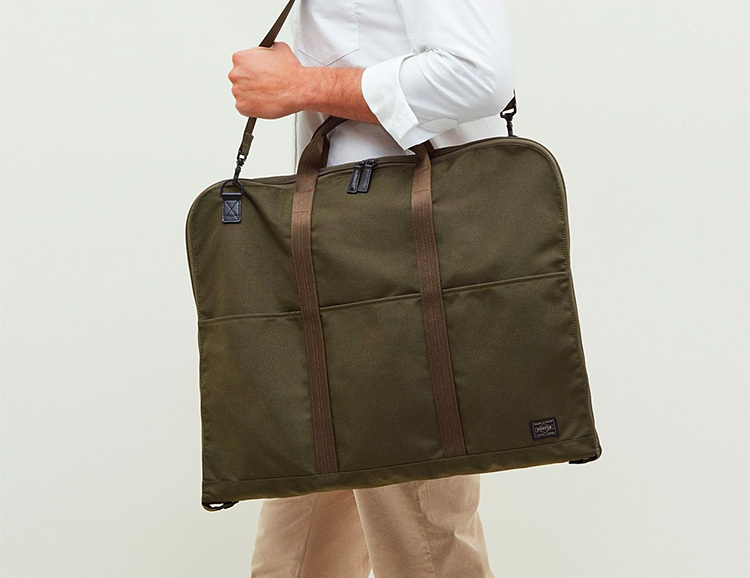 Perfectly sized for a 3-4 days worth of getaway gear, the Canvas Weekender from J.W. Hulme Co. is made of the brand’s signature Heritage Canvas—durable, water repellent, and easy to spot clean. 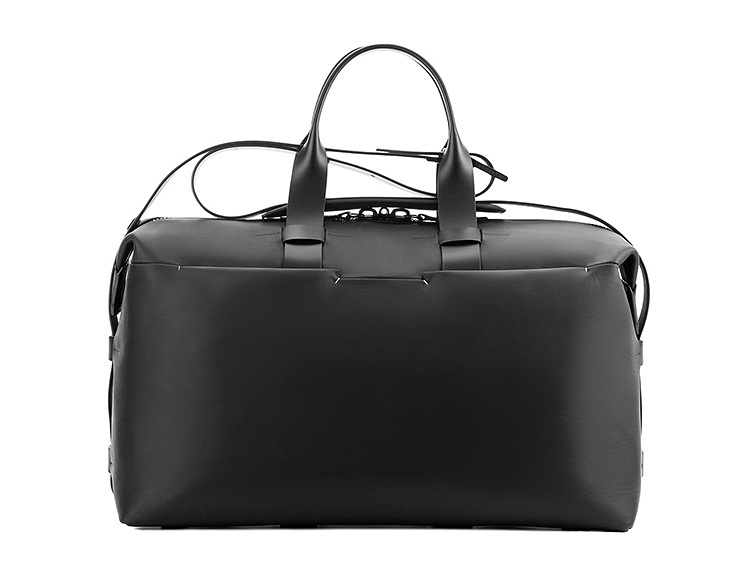 The bag features heavyweight cotton webbing handles finished with leather handle trim and a detachable shoulder strap. Made in America.